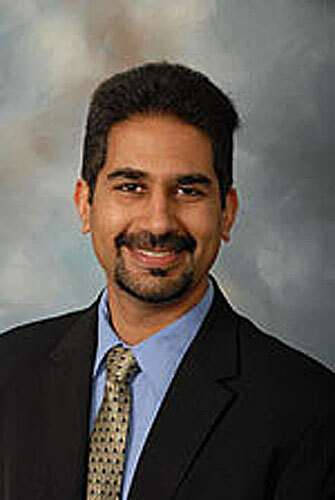 Kapil Dandekar, a Drexel University College of Engineering professor, has been awarded a Meritorious Service Citation from the Institute of Electrical and Electronics Engineers’ Educational Activities Board for his work setting up electrical engineering students all over the world with humanitarian engineering projects in their respective countries. The IEEE EAB Meritorious Service Citation, which honors selected IEEE members for outstanding and sustained service to the aims and objectives of the IEEE Educational Activities Board, will be presented to Dandekar Nov. 9 at a reception in New Brunswick, N.J. Dandekar has been selected because of his work starting humanitarian engineering projects all over the world by expanding the Engineering Projects in Community Service program to countries outside the U.S. by coordinating with IEEE. “I was glad to see that the program was being recognized for the work that we put into it and the good that it was doing,” Dandekar, associate professor of electrical and computer engineering and associate dean of research for the College of Engineering, said about the citation. Dandekar, a longtime volunteer for IEEE, and Saurabh Sinha from the University of Pretoria in South Africa started 20 engineering projects mostly based in West Africa but also in Asia, Europe and South America. They currently oversee 27 projects. This program, which involves over 350 international university and high school students, sets up undergraduate electrical engineering students with projects to assist nonprofit organizations where engineering knowledge is needed. One project involves finding solar power solutions to power villages in Africa, while a project in India has its students developing assistive technologies for children with cognitive disorders. “It’s really exciting to see the engineers working in these different sites apply what they’ve learned about engineering to these pressing humanitarian problems,” Dandekar said. While developing these projects, undergraduate students also mentor pre-university students to give them a glance at the type of work electrical engineers do. All students involved in these projects are engineering students at nearby universities, which has ensured continuity to the projects initiated by this program and added a grassroots initiative to the program, Dandekar said.